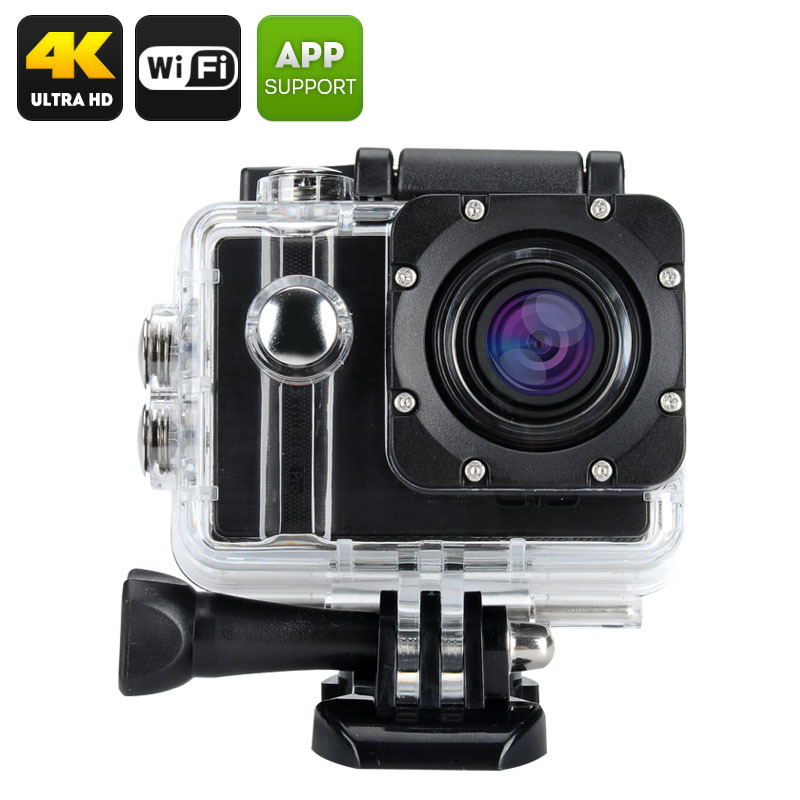 Successfully Added ELE Explorer Pro 4K Action Camera - Voice Broadcast, Wi-Fi, 170 Degree Wide Angle Lens, 12MP SONY Sensor, 5X Zoom (Black) to your Shopping Cart. Capture stunning photos and make quality footage with the ELE Explorer Pro 4K Action camera, coming with lots of accessories and a waterproof case. Don’t let your adventures go by unnoticed – capture the most exciting moments with the ELE Explorer Pro 4K action camera and keep your memories for years to comes. The 4K action cam comes with everything you need to get that perfect shot or capture the best moment on camera. With 4K video recording at 24 frames per second, you will get great video quality and the 12MP SONY CMOS Sensor will let you catch clear and crisp images. The camera also comes with a wide angle 170 degree lens, so you will not miss out on any of the important details framing your video or picture. Moreover, it’s the only action camera out there that features voice control, letting you keep your hands free and use voice prompts to start recording and stop recording . One of the best features of the cam is Wi-Fi support, so that you can instantly share your recordings over social media, email or more. You will also have a micro USB micro SD and mini HD ports for storage options and connectivity with other devices. With the ELE Explorer Pro, you are not getting just the action camera, but also lots of accessories to help you introduce the gadget into your lifestyle. With a waterproof case, clips, adapters and buckle, you will get everything needed to attach the camera to sports equipment and other surfaces.